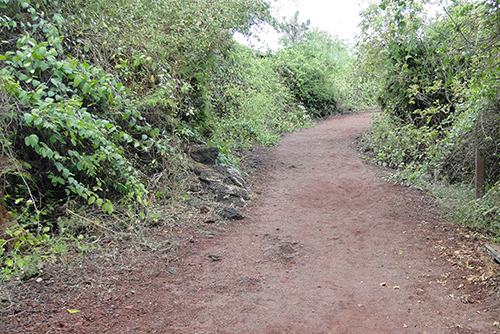 The Galapagos is well known to be the home of many strange and unusual creatures. One of the most interesting animals is the vampire finch (Geospiza difficilis septentrionalis). This unusual bird is a subspecies of the sharp-beaked ground finch that lives on Darwin and Wolf Islands and has some striking behavioural differences from other sharp-beaked ground finches. This bird earns its common name from its unusual diet. It occasionally drinks the blood of Nazca or blue-footed boobies. 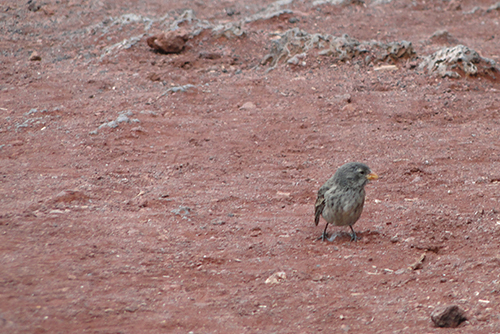 The sharp-beaked ground finch normally feeds on seeds and insects, but such things can often be in short supply on Darwin and Wolf. The vampire finch evolved this distinguished behaviour to supplement its diet. The vampire finch uses its sharp beak to peck at the feathers and skin of the booby until blood is drawn and drinks the nutritious blood to enrich its diet when seeds and insects are scarce. Strangely the boobies don't seem to mind the vampire finches drinking their blood. 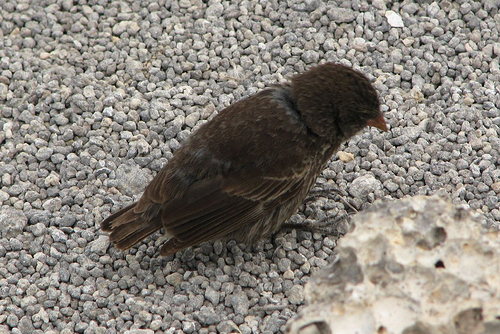 It is believed that this behavior evolved from the vampire finches picking parasites from the feathers of the boobies. Through the ages, the finches occasionally drew blood while removing insects from the boobies. 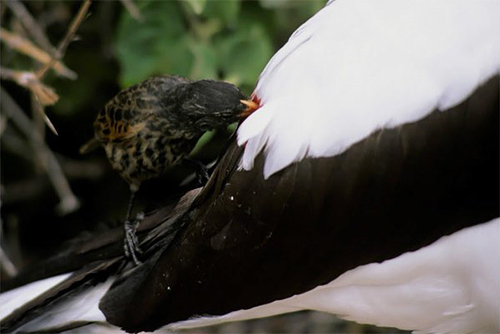 Removing parasites was beneficial to both the finch and the booby. The finch got a nutritious meal, and the booby was relieved from the pests in its feathers. When the finches drew blood, they adapted to obtaining this dietary supplement. This bird is sexually dimorphic. 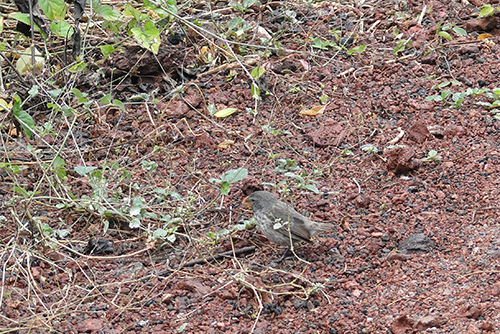 The males are black whereas the females are greyish with brown streaks. 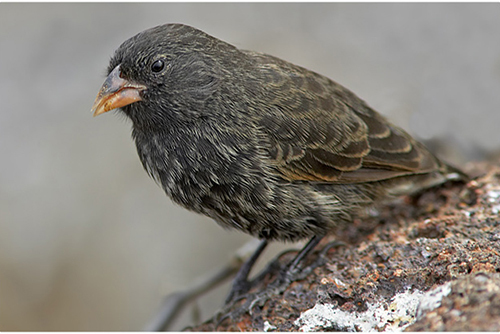 As an adaption to its characteristic way of life, the vampire finch has evolved the largest and most pointed beak of all the sharp-beaked ground finch subspecies. The Galapagos Islands are so unique in many ways. The extraordinary geology of these isolated islands has given rise to some of the most interesting creatures on the planet. Our trip advisors can help you plan your perfect Galapagos holiday, and you can discover all that this incredible archipelago has to offer.